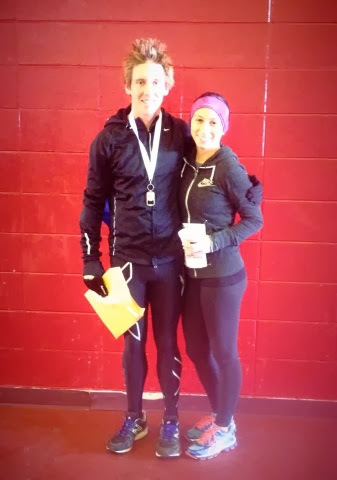 Turkey Trot 5km- Thanksgiving 2013 — James Thorp. Triathlete. 2013 marks the third year I am spending Thanksgiving in Aurora Illinois with Bryna and her family. 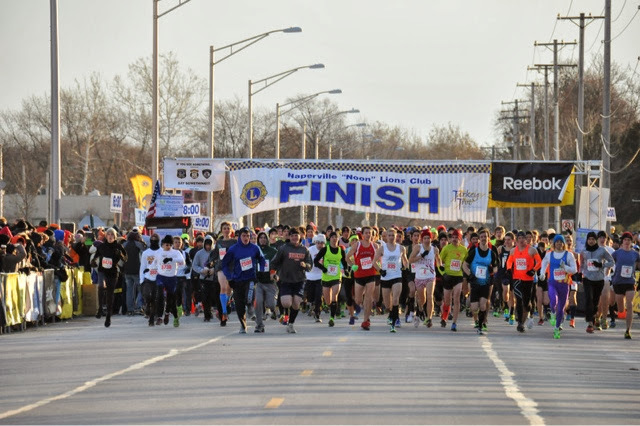 It also marks the third year of us running the Naperville Noon Lions 5km Turkey Trot. 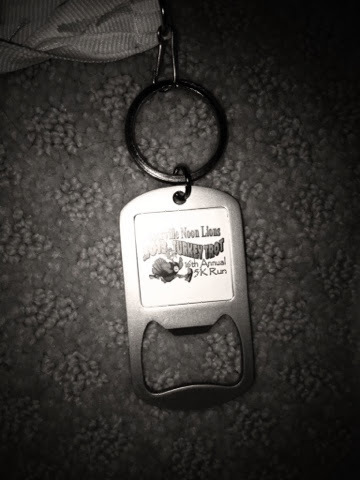 I always like doing this race as it was the first real running race I ever did 2 years ago and it is a nice indicator for where my running fitness is at. The progression of my results and times over the past 3 races in Naperville has given me a huge amount of confidence moving forward. The constant improvement over such a short period of time signifies that I am ticking all the boxes in terms of my training and nutrition so that I can make a major mark in the years ahead. Looking back on this race, I laugh at myself. I was completely ill-prepared to tackle the lofty goals I had set for myself. Having just taken up running, I rocked up in my brand new running tights, a cotton T-shirt and horribly fitting shoes that were not designed to be run in for longer than 10 meters. My ignorance gave me the confidence to go out with the leaders. Unfortunately I didn't realise the leaders were division 3 NCAA national cross country champions every year in Naperville. After reaching the first mile marker at 5.07, as expected, I crumbled and limped home with incredibly sore feet in 17:32 and 37th place. 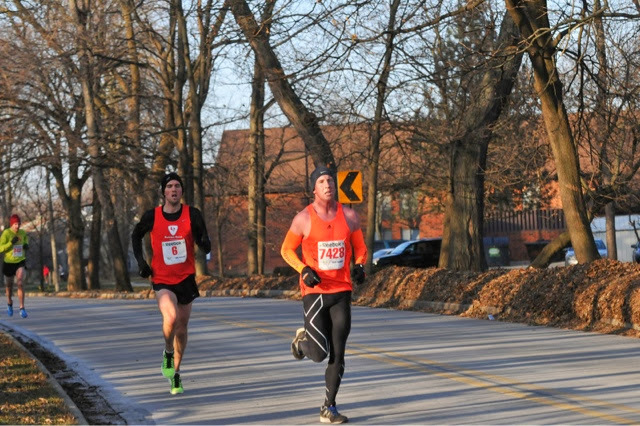 I came back to the turkey trot in 2012 with a year of running and triathlon under my belt. I had raced a lot in 2012 and coming towards the end of the year my legs were heavily fatigued. I still hadn't learned much about pacing and tried to go out with the leaders. My legs didn't have anything in them and i couldn't get going faster than 5.20 pace. I came in at 16:40 in 13th place overall and 3rd 20-24male. This race was much different than the previous two. After going out with the 15 man lead pack for the first mile at 5.06, i hung back when they started pushing the pace. It left me running with one other guy for a few minutes before i decided to start bridging up to runners. After ticking off runners one by one I came to mile 2 in 5.04. I continued this tactic and ticked off another mile and a few more runners in 5.02. I closed well and finished in 15:21, 8th overall and 3rd 20-24male. Running a sub 16min 5km has been a goal for me since running this race in 2011 and to tick off that goal so emphatically is a good sign. I am excited with where my running is headed and feel I have faster times coming. It also gives me the confidence to outrun some of the best runners in triathlon. It is always nice to be able to celebrate thanksgiving with Bryna and her family after a successful turkey trot. I am off to run again, this time to go get some turkey!